MusclePharm Liquid Carnitine Core doesn't require mixing unless you want to add some flavor and nutrition to your juice or water. Warnings: Do not exceed the recommended serving suggestion. Not for use by individuals under the age of 18. Do not use if you are pregnant, contemplating pregnancy or nursing. Consult your physician prior to using this product if you are taking any prescription or over-the-counter medication or if you have heart disease, thyroid disease, diabetes, high blood pressure or any another medical condition. Keep out of reach of children. Notes: This product was produced in a facility that may also process ingredients containing milk, egg, soybeans, shellfish, fish, tree nuts, wheat and peanuts. 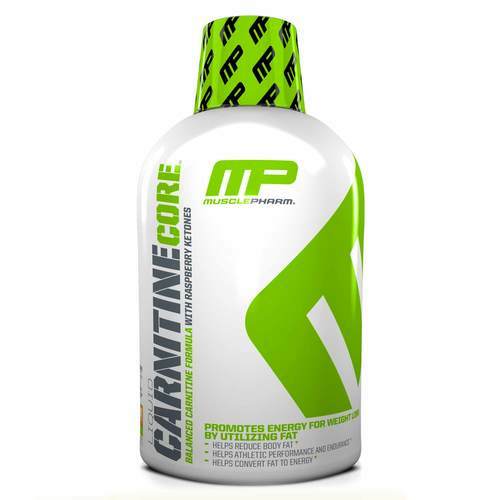 Recommended Use: As a dietary supplement consume 1 serving (16 mL) of MusclePharm Carnitine Core one to three times daily or as directed by a physician or licensed nutritionist. Shake well before each use. May also be mixed with your favorite juice or beverage. Refrigerate after opening. 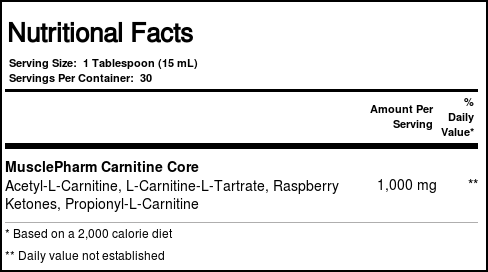 The customer reviews posted below are based on individual consumer experiences and may NOT necessarily represent what expected results will be from using or taking MusclePharm Liquid Carnitine Core Citrus - 16 fl oz. These results may not be typical and you should not necessarily expect to receive the same results. Actual results may vary. Very good for those who seek weight loss, great for those who are on a diet and want to burn fat, very good product. I recommend.